Twenty-five students, along with trip adviser Dr. Raymond Foery, smile during their Sundance excursion in January. 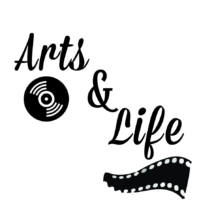 Senior Caitlin Goldberg stood in front of a crowd of 300 students at this year’s Sundance Film Festival, and she had to smile. 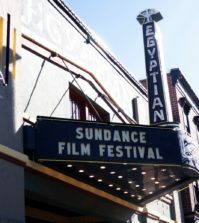 It was the denouement to a journey that began four years ago when Goldberg, a hopeful freshman, applied for a Quinnipiac delegation to attend the Park City, Utah film festival. 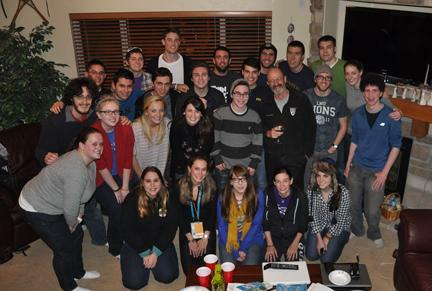 Four years later, the Sundance trip has blossomed into the staple for the Quinnipiac Film Society, of which Goldberg is president. 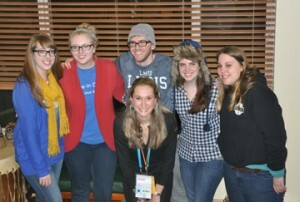 Twenty-five students, along with Dr. Raymond Foery, attended the 2011 festival from Jan. 20-25. The trip has evolved into an exclusive affair – this year required Goldberg to create a committee to plan the trip and determine who would attend. It’s no surprise, as the trip has drawn rave reviews from those who attended past festivals. Goldberg also worked part-time for the festival’s student programs and community outreach department, where she screened and introduced films, directors and actors to high school students. Goldberg and seniors Vikki Hart and Joe Carugati attended the festival each of their four years at Quinnipiac. Hart appreciated not only the grand premieres, but the exposure of indepent films. “Bellflower,” a low-budget film, was one of her favorites. Galo’s favorite moment? “The Devil’s Double,” a film about Saddam Hussein’s body double. QFS's Sundance Committee during their fourth annual trip to Park City, Utah for one of the world's biggest film festivals. 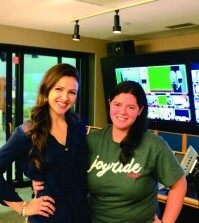 While Goldberg, the Sundance pioneer, will graduate this spring, QFS’s Sundance trip will live on. Goldberg hopes to work with faculty and administrators to incorporate the festival trip into the curriculm, possibly providing credit or creating a class.